Seven Filipino artists were honored with The Order of National Artists. Image from Lahi.Ph Facebook. The Philippine government has conferred The Order of National Artists to seven Filipino artists. The highest national recognition given to individuals working in the arts sector was given in ceremonies on Wednesday held at the Malacañan Palace. 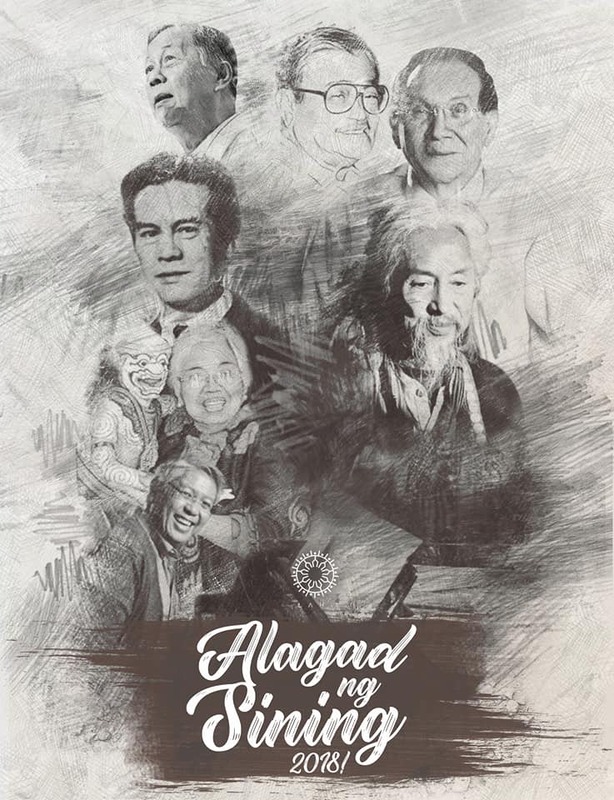 Along with the National Artists, the Philippines also recognized the Manlilikha ng Bayan and the first Philippine Heritage Awards. The National Commission for Culture and the Arts (NCCA) and the Cultural Center of the Philippines (CCP) recommended the awarding of the Order of National Artists to the President of the Philippines after a nominations and screening process began in June 2017 and involved panels of scholars, experts, artists, and cultural workers. “The new National Artists are icons in their respective fields and disciplines, which have grown richer with their bodies of works and the grounds they broke, and have inspired and influenced generations of artists as well as the Filipino people,” stated the official government release about the new national artists. Larry Alcala (18 August 1926-24 June 2002) is famous for his cartoons more notably his iconic work on “Slice of Life”. His comic strips spiced up the slices of Filipino lives with witty illustrations executed throughout his 56 years of cartooning. Amelia Lapeña-Bonifacio is known as the Grand Dame of Southeast Asian children’s theatre. She is the founder and playwright-director of the Teatrong Mulat ng Pilipinas, which has placed the Philippines on the artistic map of world theater. Ryan Cayabyab is the most accomplished composer, arranger, and musical director in the Philippine music industry since this bloomed beginning 1970s. Kidlat Tahimik (Eric de Guia) has continually invented himself through his cinema, and so his cinema is as singular as the man. His debut film, Mababangong Bangungot (1977), was praised by critics and filmmakers from Europe, North America, Asia, and Africa and is still considered by many as a pioneering postcolonial essay film. Francisco T. Mañosa, for all of his more than 60 years of architecture life, designed Filipino. Mañosa was in the heart and soul of a Philippine architectural movement. Resil B. Mojares is a teacher and scholar, essayist and fictionist, and cultural and literary historian. He is acknowledged as a leading figure in the promotion of regional literature and history. As founding director of the Cebuano Studies Center—an important research institution which placed Cebu in the research and documentation map—he pioneered Cebuano and national identity formation. Ramon Muzones (20 March 1913-17 August 1992) was a Hiligaynon poet, essayist, short story writer, critic, grammarian, editor,lexicographer, and novelist who authored an unprecedented 61 completed novels.